Sensual girls’ performance with burning hula hoops. 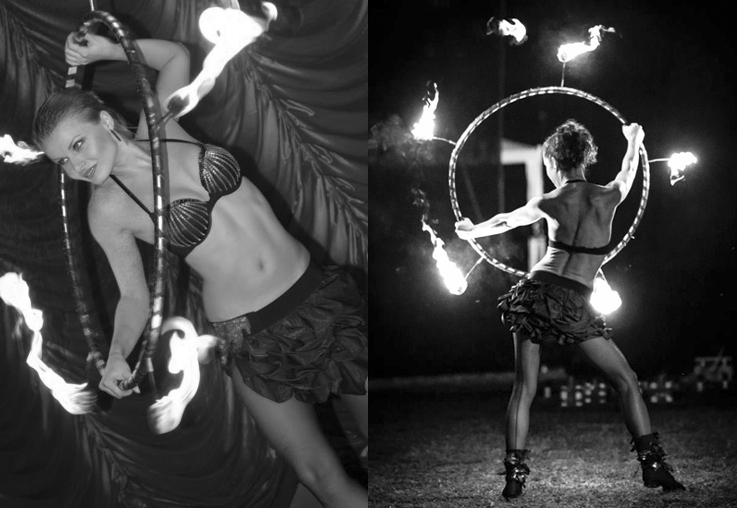 Sophisticated choreographies and professional costumes highlight women’s beauty in connection with hot fire element. Pleasure particularly for men audience. Possible to realise independently or as a part of a larger fire show.